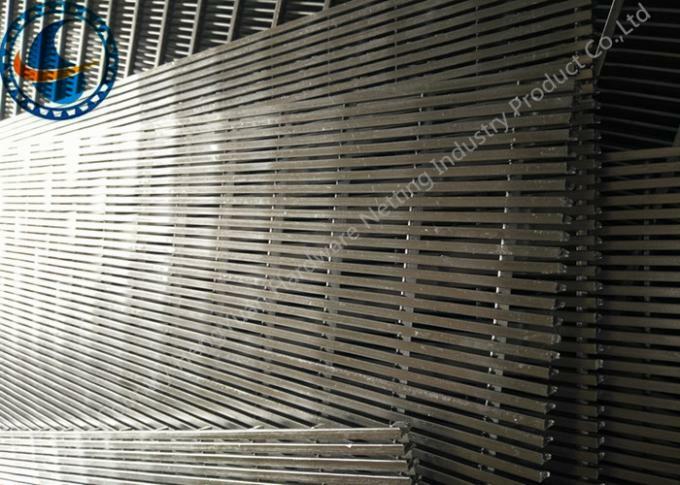 Wedge wire screen panel can be designed to optimize the open area, strength and wear life for each application. The panels are either continuously or intermittently welded on the lower side of loop to provide complete rigidity to the panels thus becoming very effective in transmitting the vibrations without mechanical failures. 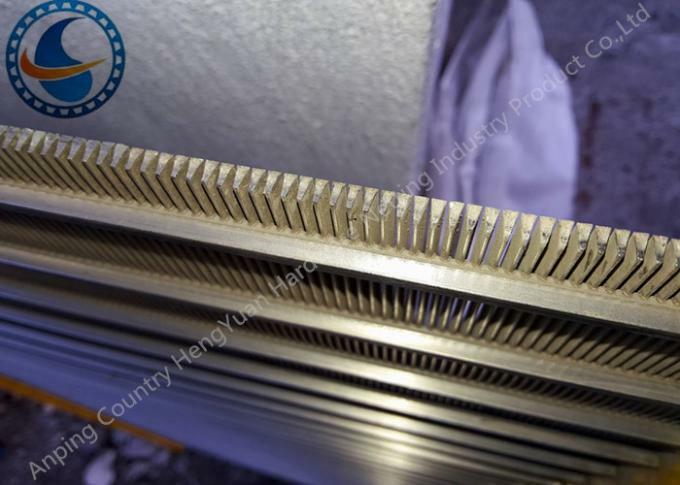 Wedge wire screen panel are made using only the highest quality standard stainless steel materials. The screen's surface structure is welded at 90 degrees angle with the support profiles which widen inwardly. High efficiency: continuous slot opening.